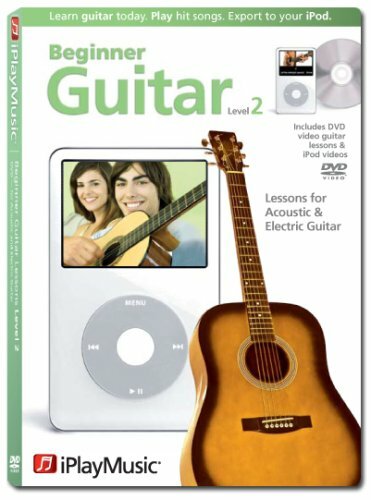 Beginner Guitar Lessons Level 2 is the next step in mastering the skills you need to play songs right away, without learning complex theory or reading music! This interactive DVD works with any standard DVD player and contains over 2 hours of hi resolution, multi-angle easy-to-follow videos. Our DVD provides you with interactive controls, allowing you to play along with the songs, jam with just the backing band, isolate the guitar part, focus on chords and strumming, and loop, or repeat, individual sections of video over and over until you get it just right — no more fussing around with your remote control or mouse! The song videos have scrolling lyrics and chords, so you can play and sing along.